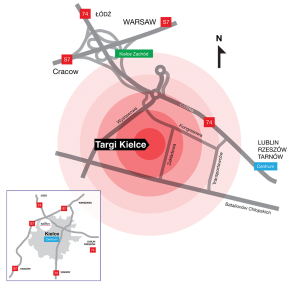 Targi Kielce - in the heart of Central and Eastern Europe, in the south of Poland. The S7 and DK74 - Poland's two major communication routes run through the city. There is also a number of international airports in the area. This makes Targi Kielce an easily accessible destination from virtually all Polish regions as well as from abroad. 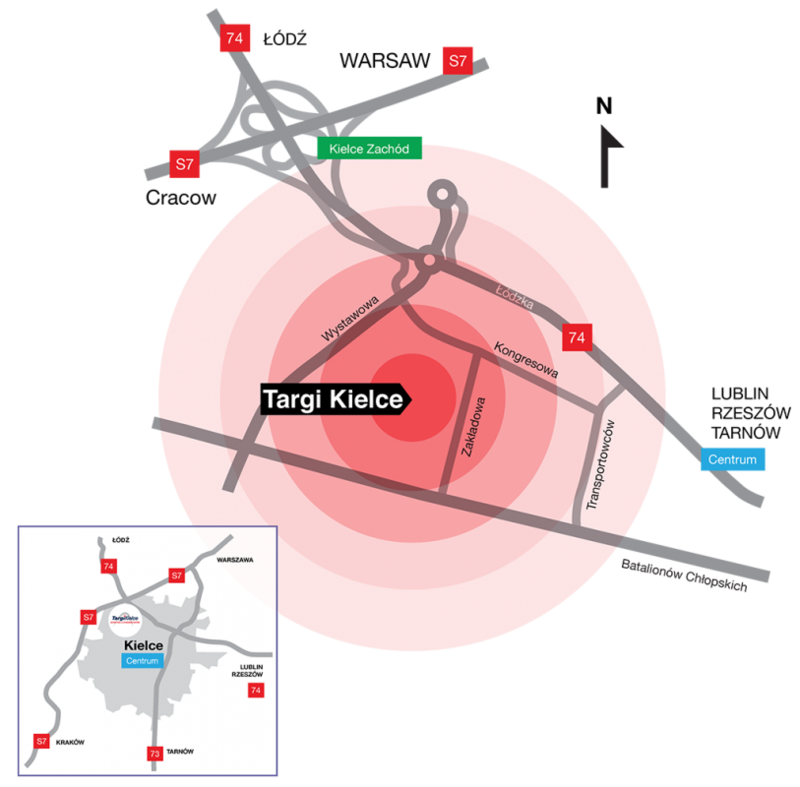 Choose one of the 7 international airports located within the 180 kilometre radius from Targi Kielce, the nearest airport — Radom. Direct access from the Kielce ring-road – take the exit at the intersection of the S7 express-way and the 74 national-road. Drivers will find sign-posts in the Kielce ring-road as well as in the city streets for the shortest and the easiest route to the Targi Kielce exhibition grounds and car parks. outdoor parking spaces in the fairgrounds next to the East Entry Terminal and the West Entry Terminals. Kielce is a major node in Poland's transport system. The train and the bus stations are only 10 minute-ride from the Expo Centre. We recommend taking a taxi.